Data dissemination and information management technologies for tactical environments are quickly becoming major areas of research for both military and civilian applications. Critical to the problem is the need for fully distributed information management technologies that are efficient, adaptive and resilient. In this paper, we introduce and discuss a new strategy for tactical data dissemination and processing based on distributed online learning. Starting from a formal description of the problem we introduce our proposed solution and its theoretical properties. 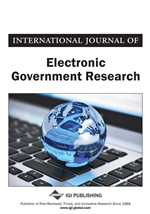 We also present and discuss a number of simulation experiments for different data dissemination scenarios, and conclude the work with a discussion on how such techniques may be applied to critical e-government environments under different assumptions of service availability and information release policies.